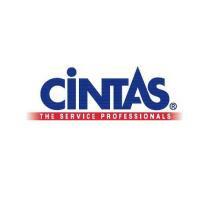 Cintas is seeking a production Garment Hanger/Inspector. Responsibilities include putting customer garments on hangers to be sent into the steam tunnel for pressing and visually inspecting all garments for proactive repairing, such as holes, tears or damaged zippers. The position involves repetitive motions over the entire shift, including standing, walking and repeated bending, stretching, twisting and lifting. Daily accuracy of work is necessary for inventory control and accountability. Additional responsibilities include housekeeping and adherence to health and safety standards.